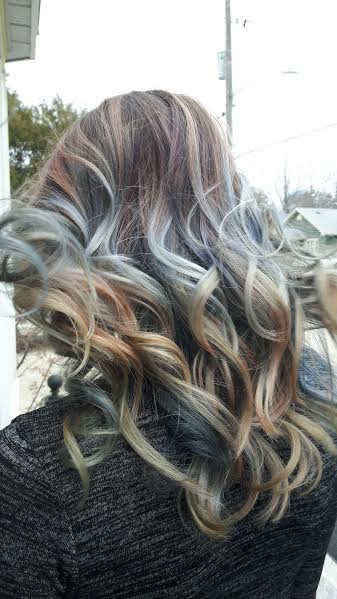 Our Master Stylists, Laura and Erica combined their efforts and their talents to create this stunning Ombre highlighted with silvers and deep grey blues. Fashion colours when used as highlights look more natural and beautiful while creating interest and depth to the hair. Stunning new look for Spring!